Sleep training for babies can be a minefield of information and overwhelm. Are you wondering if baby sleep training actually works? Each week we feature a mama & baby who, after sleep training with the Baby Sleep Trainer are thriving with more sleep and less stress! Cirra Goff, mother to Cecilia, sleep trained with me when baby was 5 months old. Here is their story….. I finally decided to bite the bullet and sleep train because…. 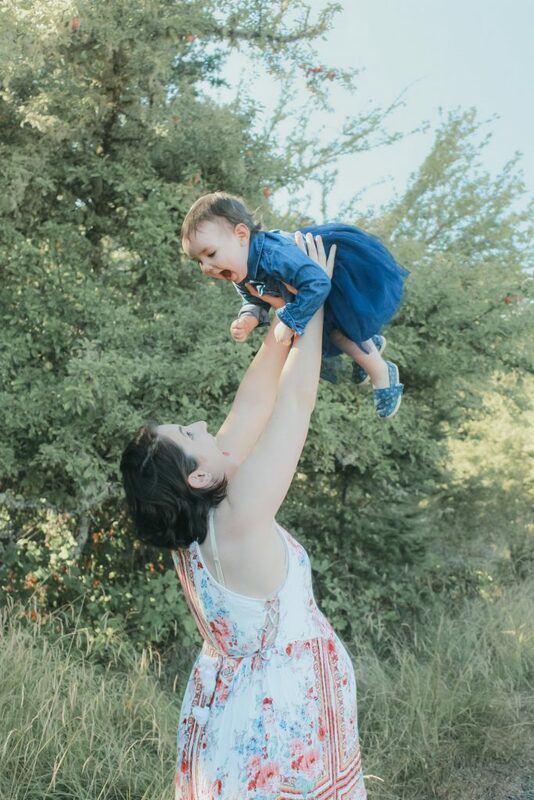 Although bed sharing/breast sleeping got us all the most sleep in her first months of life, she started rousing every 45 minutes throughout the night when she was around 4.5 months and my husband and I couldn’t handle the sleep deprivation anymore. We tried everything – even buying upgrading to a king size bed in the hopes that giving her more space would help. Nothing worked. 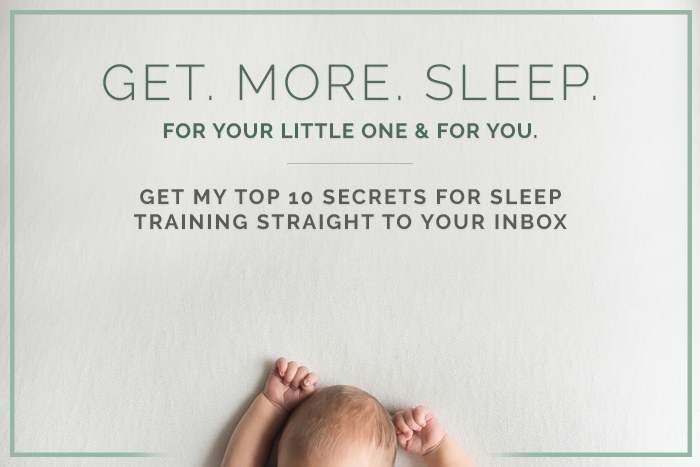 My biggest worry about sleep training was…. “Ruining” our bond, tanking my milk supply, and causing long term psychological or even physical damage to her. Before sleep training my baby slept…. Maybe 10 hours in a 24 hour period. After sleep training my baby slept…. 12 hours through the night and took three regular naps a day. Usually 16 hours total. The actual sleep training itself was…. Extremely difficult emotionally in the beginning but got easier and easier as each day of training passed. No! If anything I think I enjoy her more now that I get a healthy break from her at night. Yes absolutely. My daughter is perfectly healthy and I’ve never been so well rested or sane now that I myself am living to a schedule because of her nap times. (Picture yourself telling a close girlfriend) Sleep training is…. An incredible and effective investment into yours and your baby’s health and sanity! How would you respond to hearing, “Sleep training is selfish”? No one can pour from an empty cup. The quality of life my daughter and I now enjoy because we both get a healthy amount of sleep now is so much better than before we sleep trained. Past the first week of sleep training there are rarely tears or fights around anything related to sleeping. It has brought so much peace to our household. It took only one night for her to learn how to sleep through the night and about a week for her nap times to fall into place. Would you recommend BST to a friend and if so, who and why? Absolutely, yes. I have raved about how much sleep training has improved our life and I have no regrets whatsoever about taking the dive. If you are having sleep issues with your little one, we offer the help you need with efficient, affordable online programs. Click here to learn more. Got a baby sleep training success story to share? We’d love to hear from you, simply fill in this quick questionnaire and we’ll do the rest!